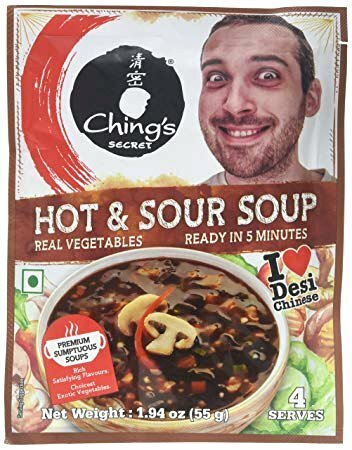 Ching’s Hot and Sour Soup is a tantalizing combination of spicy Sichuan chillies, pungent pepper and vinegar sharpness. 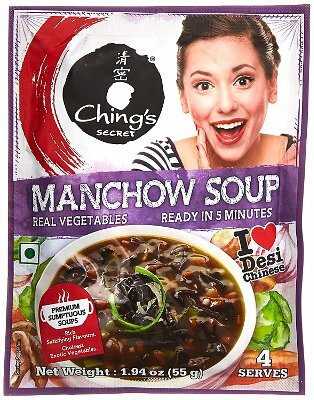 Savour the earthy flavours of Shitake and Black Wood Ear mushrooms and real vegetable bits with each sip. 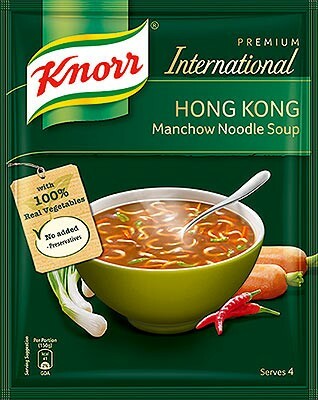 Made with carrot, cabbage, capsicum, leeks, onion and seame oil, Knorr Hot & Sour Vegetable Soup is seasoned with black pepper, red chili powder, ginger, garlic and coriander leaves. Create your own special recipe by adding 1/2 cup of fried noodles to the soup just before serving. 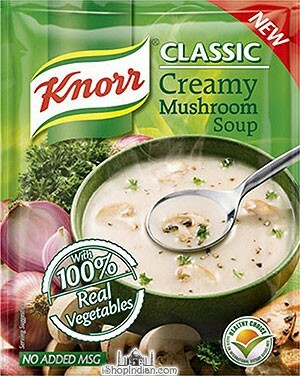 Great tasting mushroom soup mix with dehydrated vegetables like onions and leeks. Just add water and bring to a boil and enjoy. 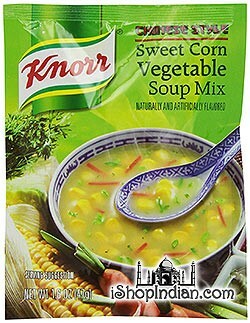 Made with sweet corn, sesame oil, french beans, carrots, leeks and parsley, Knorr Sweet Corn Vegetable Soup is flavored delicately with green chili, white pepper and soy. Create a unique dish by adding chopped green onions to the simmering soup. 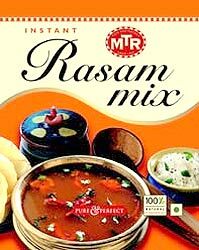 MTR's Instant Rasam Mix makes the South Indian soup delicacy in minutes. Just boil two cups of water (approx 500 ml), add the contents of this pack, cook for 10 minutes and enjoy! Add finely cut coriander leaves and any veggies for added taste. 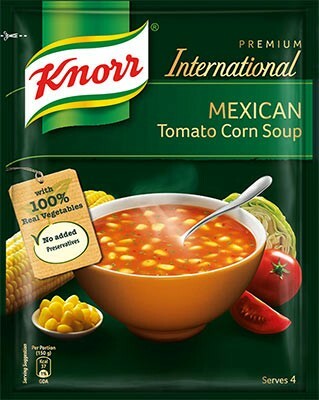 It couldn't be any easier to enjoy this specialty soup! Make authentic South Indian Sambar in minutes with MTR's world-renown Sambar Mix. 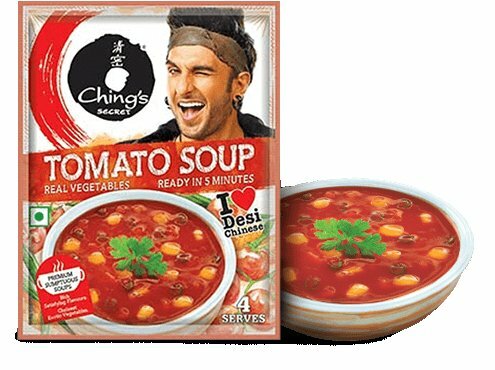 This spicy soup is usually made with potatoes, onion, tomatoes and other vegetables. 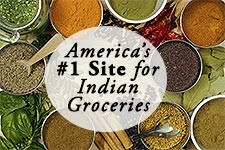 Its fiery flavors come from coriander, chili, cumin, mustard, turmeric and tamarind. 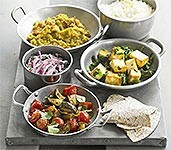 Preparation is easy: Simply boil water, the contents of this pack, and your choice of vegetables, and Sambar is ready! 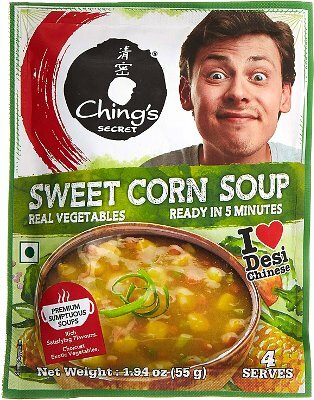 (this pack contains toor dal, so no need to add your own).